As the temperature starts to rise and grills start to fire up, these puppies will make the perfect addition to your spring BBQ. Mix ingredients together and drop by heaping tablespoons into hot oil. Fry until golden brown. 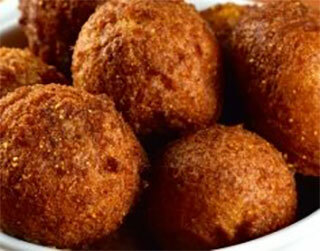 For more fresh Hush Puppy recipes, please visit //www.misshomemade.com/recipesforhushpuppies.html.